The Rock plays such a wide variety of characters and doesn’t mind making fun of himself — he effortlessly goes from being a WWE champion, to a tooth fairy in a pink tutu. You don’t have to be a fan of the WWE to have fun with this quiz about Dwayne Johnson. I’ll give you the plot — you give me the answer. Good Luck! It’s strange: I did really enjoy this movie while watching it, and felt entertained immediately afterwards. 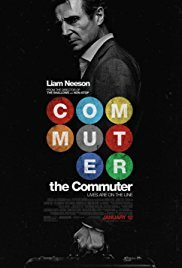 But by the time I got home, the good stuff was already fading, and [pullquote position=”right”]I was left with a lot of improbable plotting and endless images of Liam Neeson walking up and down train cars[/pullquote], having uninteresting and random conversations with people. There’s no character development, and the jeopardy is so completely unlikely. In *Speed* for example, which this film tries to be but isn’t, it makes sense in-story for the bomber to know everything Keanu Reeves does. (The bomber is watching everything on camera.) Here, we never actually understand the Phone Woman’s magical powers — it’s never addressed. And how exactly is she caught? I must have missed the work done to find her. So, pop quiz, Hotshot: is this *Speed* wannabe movie also trying to piggyback off *Murder on the Orient Express*? The mystery is so lackluster that I’m a little lost. Even the big action set-pieces sort of lagged. Honestly, I liked this at the theater, before I sat and thought about it too much. At least Qui-Gon-Jin still has a great voice and calm demeanor, but I think it’s time for him to stop being an action hero. It’s not his age, but the lack of intensity. Neeson isn’t the best choice for an action hero, even in B movies. “Lucy” is like two movies mashed together: one is enjoyable and explores interesting questions; the other is lame and hyper-violent. Rating this movie is a question of how to balance these two. 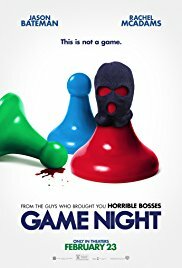 Where this movie really fails is in it’s brevity. Not including the credits it’s only an hour and twenty-two minutes long. That’s far too short a time to do any substantial character and plot development. At least one of them will have to be sacrificed. In this case, it’s the characters who get the short shrift. 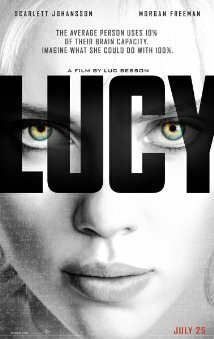 The movie begins just minutes before Lucy goes through her transformation. It would have been nice to have just a brief scene with her in her normal habitat – who she is, what she’s doing, what her dreams are. But we only get the tiniest of glimpses into that portion of her character. I may be slightly biased – and that’s an understatement – but I thought Scarlett Johansson did a wonderful job of evolving her character as she went through the transformation. One thing she does particularly well is act without speaking. She can say a great deal through facial expressions and body posture without overdoing it. For instance, some actors have their “surprised face” but they overdo it. Scarlett is great at expressing both surface and subsurface expressions simultaneously: being surprised, and yet trying to comprehend what she’s surprised about. Morgan Freeman was his usual awesome self. The gravitas he brings to his role was essential for this movie, since there was zero character development for him to work with. We’ve seen Freeman playing the authoritative role often enough that we can easily form an amalgamation of his previous characters in our minds, to help define his character in this movie. That’s poor story telling, but at least Freeman can pull it off. In the end I wish I could give the screen writers and director a D and the actors an A. I guess I’ll average them out and give it a C+, or a B- because Scarlett is my favorite actress.